Scan Identical Leads for Sugar® SugarCRM, Inc.
Data duplication in your customer relationship management – CRM system is not only irritates users but it can also waste lots of time and hard efforts, loss of business and money. Multiple calls to the same customer can make your companies image as incompetent. This issue also led to send multiple discounts or different information to the same customer. Using third party plugin or extensions to your CRM application, it can be solved by tracking the duplicate data at the time of data entry in the system. Offshore Evolution Pvt. 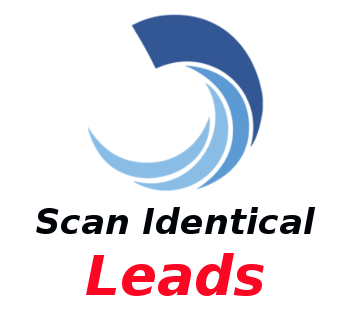 Ltd. can help you to resolve the issue with our “Scan Identical Leads” plugin. The plugin provides flexible configurable facility as per your requirement. These identify the identical data in existing leads in your customer relationship management system and list them in sub panel with highlighted color in yellow. It will show the identical leads as per pattern matching criteria you configured on the lead page with color indicators. Also it will show the duplicate lead indicator at top of the page in case system found any duplicate lead for lead data you entered. Plugin will identify the identical leads based on pattern matching criteria and show on screen. User can leverage the search information and prepare the strategy to work effectively on those leads. It will help to increase the effectiveness and productivity of your team's efforts. Team members can focus on unique leads and eliminate the identically generated or sent sales inquiries for your products. User can select and design result area by selection of data fields they want as per their convenient. It allows flexible pattern matching criteria configuration like 1. Start with, 2. Equal to and 3. Contain to make as much flexible as your requirements on specific data fields you wish to use as lead data search.